Many home sellers find themselves in the position to sell their current home before they have moved in to their new residence. This service is targeted toward that seller; we artistically combine your current furniture with complementary staged pieces to help potential buyers envision themselves in the home. Whether it's full-home staging or the staging of key rooms, we can work with the seller to customize the perfect plan. Imagine walking into a home barren of any furniture, color, artwork, or signs of life. This is the reality for many buyers who are left to visualize what furniture might look like in a vacant home. Not staging a vacant home also makes it more difficult to sell! By bringing in the key pieces of furniture and artwork that make the space look lived in, but clean, homes spend approximately half the time on the market. Soft staging offers sellers a lighter alternative to full-scale home staging. Soft staging typically involves pulling artwork, decor accessories, and other home accents that enhance the furniture already in the client's space. With our design background and many years of expertise coordinating color schemes, decor themes, and design concepts, we accessorize your space to make it inviting to potential buyers. Just as no two homes are the same, no two staging projects are identical. Collage Home offers in-home staging consultations to discuss the best plans for our clients' unique needs. This service typically includes a walk through of the home and the outline of a staging plan for the space. Property Preview: Walk through consultation with homeowner. Some projects can be quoted without a preview if you’re in a hurry. We preview all properties prior to staging. Customized Quote: Package selection, agreement signing, and invoice payment. We make it easy for you! Design Plan: Our Accredited Staging Professionals create a design plan specific to your property. The plan is created based on your target buyer, home style, and price point. Staging Day: Our skilled team installs the staging furniture. Follow Up: We follow up and see how you’re listing is doing, and remind you of the date your renewal or destage notice is due. Destage: We pick up the items when the home sells or at the end of your contract. Collage Home offers varying packages based on the size of your property, the number of rooms we stage, and the level of design (typically corresponding to the price point of your home). Packages include all design, inventory pull and prep, delivery, install, pack-up, pick-up, and rentals for the initial contracted period. After your initial contract, display items can be rented monthly as needed. 30-Day Packages: Typically $1500-$2880. Additional monthly rentals are typically $500-$1200. 60-Day Packages: Typically $2010-$3968. Additional monthly rentals are typically $450-$1088. 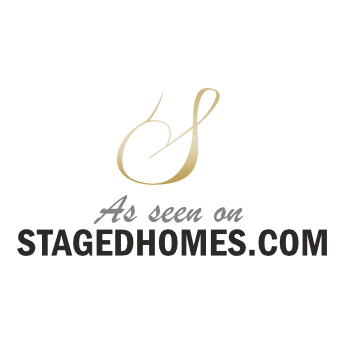 Executive and Luxury Home Staging: Priced per property.